355 Commonwealth is located on the NE corner of Commonwealth and Massachusetts Avenues, with 353 Commonwealth to the east, 371 Commonwealth (61 Massachusetts Avenue) to the west, across Mass. Ave., 416 Marlborough to the north, across Alley 429, and 362-366 Commonwealth to the south, across Commonwealth. 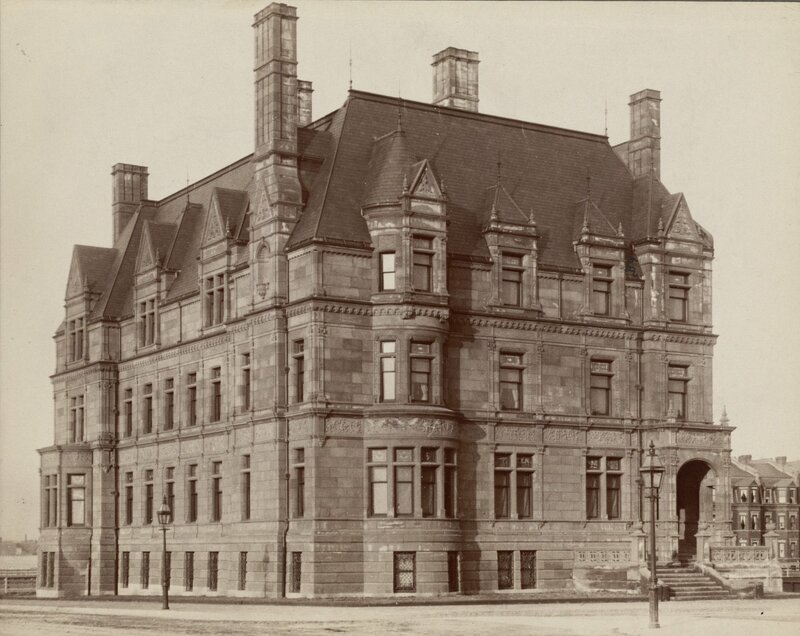 355 Commonwealth was designed by architect Carl Fehmer and built in 1882-1883 by Norcross Brothers, masons, and Morton & Chesley, carpenters, for Oliver Ames and his wife, Anna Coffin (Ray) Ames. He is shown as the owner on the original building permit application, dated May 13, 1882. 355 Commonwealth was numbered 353 Commonwealth until about 1895, when three houses were built immediately to the east and given the numbers 349, 351, and 353 Commonwealth. Oliver Ames purchased the land for 355 Commonwealth on February 18, 1880, from Benjamin Williams Crowninshield, the western 70 feet of a 131 foot lot Benjamin Crowninshield had acquired on January 9, 1880, from Grenville T. W. Braman, Henry D. Hyde, and Henry M. Whitney, trustees of a real estate investment trust. It was part of a parcel the trust had purchased on March 1, 1872, from the Boston Water Power Company, one of several parcels the trust had acquired at the same time. 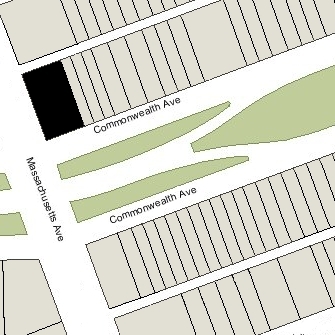 Click here for an index to the deeds for 355 Commonwealth, and click here for further information on the land on the north side of Commonwealth between Hereford and Massachusetts Avenue. By the 1883-1884 winter season, Oliver and Anna (Ray) Ames had made 355 Commonwealth their home. They previously had lived at 115 Commonwealth. They also maintained a home in North Easton, where the Ames pick and shovel company, founded by his grandfather, was located. Oliver Ames was an investor in railroads, banks, and manufacturing companies, and served as Lt. Governor of Massachusetts from 1882 to 1885 and as Governor in 1886 and 1887. Some sources indicate that he was President of the Union Pacific Railroad (which the Ames family was instrumental in forming). In fact, that was his uncle, Oliver Ames, Jr. (1807-1877), son of Oliver Ames. Oliver and Anna Ames had six children: William Hadwen Ames, Evelyn Orville Ames, Anna Lee Ames, Susan Evelyn Ames, Lillian Ames, and Oakes Ames. Anna Ames married in January of 1891 to George Manning Nowell, a piano teacher at the New England Conservatory of Music and later an attorney. Before their marriage, he had lived at 337 Commonwealth with his parents, Thomas Shepard Nowell and Harriet (Cottrell) Simes Nowell. After their marriage, George and Anna Nowell lived briefly with her parents at 353 Commonwealth and then moved elsewhere. By the 1897-1898 winter season they lived at 522 Commonwealth, and in 1907 they built a new home at 13 Commonwealth. William Hadwen Ames married in December of 1891 to Mary Elizabeth Hodges. After their marriage, they lived in North Easton. 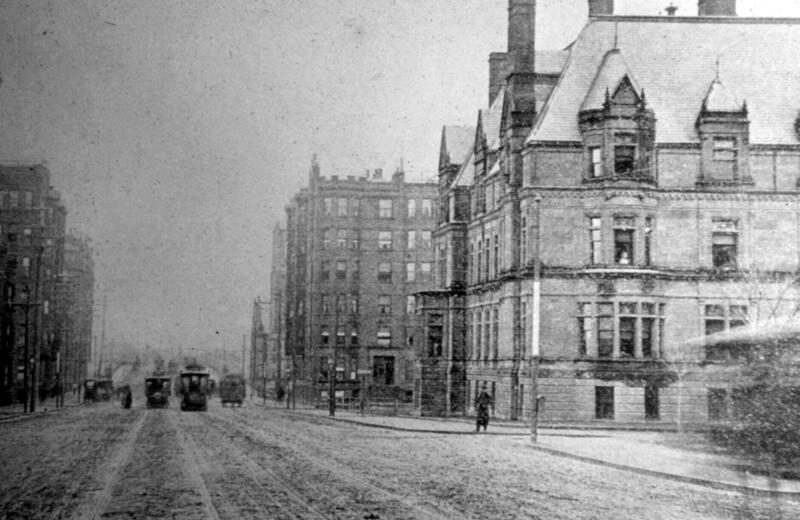 During the 1900-1901 winter season, they lived at 120 Beacon, and during the 1902-1903 season at 173 Commonwealth. In March of 1904, they purchased and moved to 267 Commonwealth. He was secretary of the Ames Shovel Company and later was president of the American Pneumatic Service Company, which built and operated pneumatic tube systems to deliver mail in Boston and other cities. Lillian Ames married in April of 1893 to Harry Lorenzo Chatman. Before their marriage, he had lived at 240 Newbury with his parents, John Wesley Chatman and Jane (Jennie) Maria (Littlefield) Chatman. After their marriage, Harry and Lillian Ames lived at 355 Commonwealth during the 1893-1894 and 1894-1895 seasons. By the next season, they were living at The Westgate (Beacon at Deerfield). He was associated with his family’s drygoods firm and later would become a book publishing and bindery executive. Oliver Ames died in October of 1895. Anna Ames continued to live at 355 Commonwealth and in North Easton with her unmarried children: Evelyn, Susan, and Oakes Ames. Oakes Ames married in May of 1900 to Blanche Ames, the daughter of General Adelbert Ames (not related to the Ames family of North Easton). Oakes Ames was a professor of botany at Harvard. After their marriage, they lived in North Easton. Susan Ames married in December of 1901 to Thomas Taylor, Jr. He was a cottonseed oil mill owner in Columbia, South Carolina, where they lived after their marriage. By the 1901-1902 winter season, Anna Ames was again joined by Harry and Lillian Chatman. They most recently had lived in Beverly. 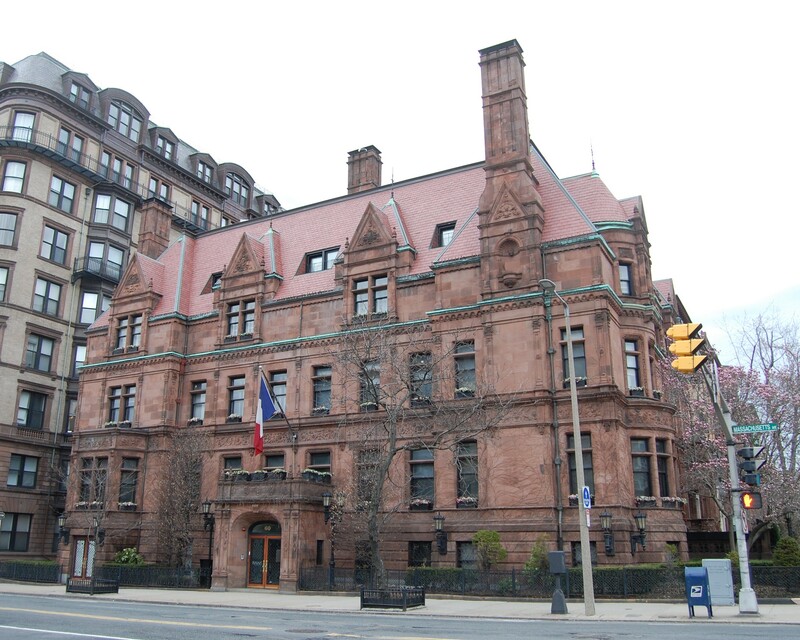 They continued to live at 355 Commonwealth during the 1912-1913 winter season, but moved thereafter to Brookline. Evelyn Ames probably continued to live at 355 Commonwealth (and in North Easton) with her mother until about 1906, when she moved to 260 Beacon, which she had purchased in June of 1904 and subsequently remodeled. In June of 1909, she married Frederick Garrison Hall, an artist. After their marriage, they lived at 260 Beacon. During part of the 1913-1914 winter season, the Halls lived at 355 Commonwealth with Anna Ames (they were listed at both 260 Beacon and 355 Commonwealth in the 1914 Blue Book). By the 1914-1915 winter season, the Halls had moved back to 260 Beacon and Anna Ames had been joined by Oakes Ames and Blanche (Ames) Ames. They previously had lived with the Halls at 260 Beacon and at their home, Borderlands, in North Easton. Anna Ames died in March of 1917. By the 1917-1918 winter season, Oakes and Blanche Ames had made 355 Commonwealth their home. They also continued to maintain their home in North Easton. 355 Commonwealth was owned by trusts established under Oliver Ames’s will and under the will of William Hadwen Ames (who died in March of 1918). In July of 1921, Oakes Ames acquired the house from the trustees. Oakes and Blanche Ames continued to live at 355 Commonwealth during the 1925-1926 season, but moved thereafter to 225 Bay State Road. On May 25, 1926, 355 Commonwealth was purchased from Oakes Ames by the National Casket Company. In July of 1926, it applied for (and subsequently received) permission to convert the property from a single-family dwelling into showrooms on the lower floors and offices on the upper floors. At the same time, it added a new entrance at 60 Massachusetts Avenue. The remodeling was designed by architects Chapman and Frazer. 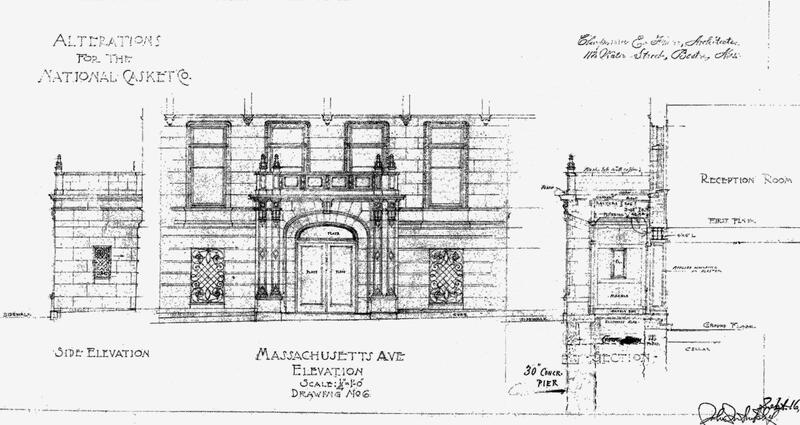 Plans for the remodeling — including floor plans and partial elevations — are included in the City of Boston Blueprints Collection in the Boston Public Library’s Arts Department (reference BIN P-21). On January 10, 1929, 355 Commonwealth was damaged by a fire in the basement which caused smoke damage throughout the building. On December 30, 1980, 355 Commonwealth was purchased from the Walco National Corporation (successor to the National Casket Co.) by David H. Thorne and Paul A. Faraca, trustees of the Governor Ames Mansion Realty Trust. In March of 1981, they applied for (and subsequently received) permission to remodel the property and change its use into business offices. On June 7, 1984, 355 Commonwealth was purchased from David H. Thorne and Paul A. Faraca by Emerson College. In January of 1984, prior to purchasing the property, Emerson College applied for (and subsequently received) permission to convert it into offices and a retail store. On April 19, 1995, 355 Commonwealth was purchased from Emerson College by the Back Bay Investment Trust, Inc., of Hingham. In June of 1997, it applied for (and subsequently received) permission to convert the property into two apartments, and in July of 1999, it applied for (and subsequently received) permission to convert the property into twelve offices and one apartment. 355 Commonwealth remained a mixed residential and commercial building in 2017.